WINTER PARK, Fla. (AP) - Florida Gov. 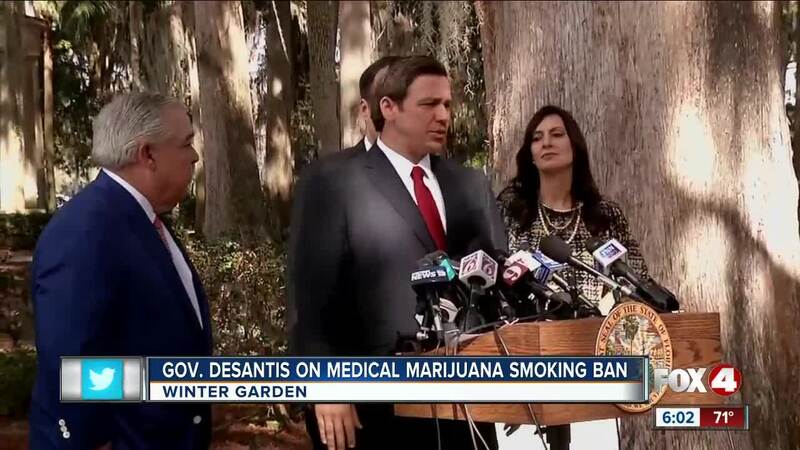 Ron DeSantis is pushing to end a state ban on smokable medical marijuana. If it doesn't do so by mid-March, he said he will drop an appeal filed under his predecessor, now U.S. Sen. Rick Scott, that seeks to keep the ban in place. In 2016, more than 71 percent of Florida voters approved a constitutional amendment allowing medical use of marijuana. Since then, the Republican-dominated Legislature has been criticized for the way it's implemented the amendment in state law.